10 Things About Cruise Travel You Have To Experience Yourself - A cruise travel offers many opportunities. You can relax in the spa, take language lessons, enjoy a Broadway show, or get into some adventure activities. And the good thing is you can experience all these activities all by yourself. 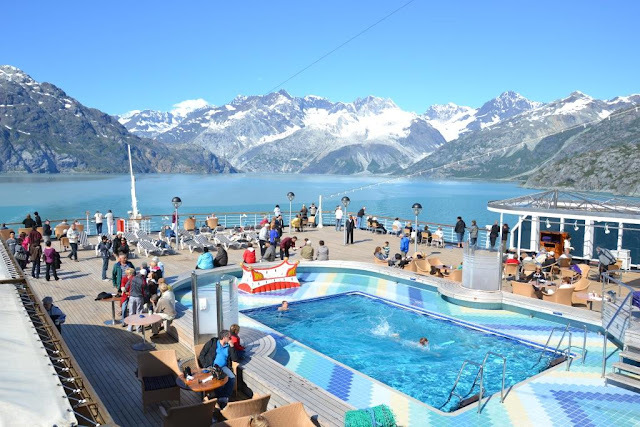 That is what makes cruise travel a preferred choice of the solo traveller. Here are our picks of the top 10 things you can experience all by yourself on a cruise travel. Just relaxing on the deck enjoying the unending ocean is something you must experience all by yourself. Every major cruise ship has comfy lounge chairs, the essential pool, and hot tub, so you don't miss out on this opportunity to unwind. Work out in a state-of-the-art gym is one of the many perks of a cruise vacation. Some of the top-class cruise ships have huge fitness centres with all the modern amenities. An added attraction is that, most of the gyms are located on top of ship with floor-to-ceiling windows for unlimited sea view. Soak in the sight as your burn some calories. The majority of cruise ships have spas and you can do massages, facials or any other beauty treatments. Some of the cruise ships even have cosmetic treatments, including teeth-whitening, and a variety of wraps that claim to do wonders for your skin. Eating and drinking make up a large fraction of time spent onboard. You can munch on delicacies all day if you wish. Make your brain do a bit of work on your cruise. You can learn a new language or learn to cook. Some of the cruise liners are even offering photography classes. So you can come back from your cruise holiday like photography pro. It's perfectly tolerable to drop your formality and get a little silly on a cruise. If you refuse to get off your high horse and get into the onboard fun and games, you're missing out on the true cruise experience. You can join the life-size renditions of popular board games. It's OK to show off your out of practice singing skills or cheer at full volume for your favourite. You are never going to meet your shipmates again, so chill. Mainstream ships always have some sort of evening performance scheduled. So enjoy them while you can. There will be Broadway shows, colourful parades and even comedy shows. Keep yourself entertained. If you are a teenager and don't want to hang out with your mom and dad, you have other options. Cruise lines have built detailed kids' entertainment areas that are so amusing that even adults envy them. There will be mocktail bars for sodas and smoothies, a variety of board games and toys, internet and video game consoles, and some hands-on crafts projects and even scavenger hunts, and karaoke contests. The new breed of cruiser has included skydiving on their itinerary. They're dangling from great heights at sea, and having fun at that. If you want some peace and quiet, retreat to your cabin... or look for comfort on a serenity deck. There are cruise liners that rent out private cabins, where you can retreat from the world as you savour fruit skewers and chilled towels. Looking for things to know before you cruise? Here some ideas in the list of the things above and you can take a note of it. Visit, Emperor Traveline to know more about passport services to enjoy your cruise travel.